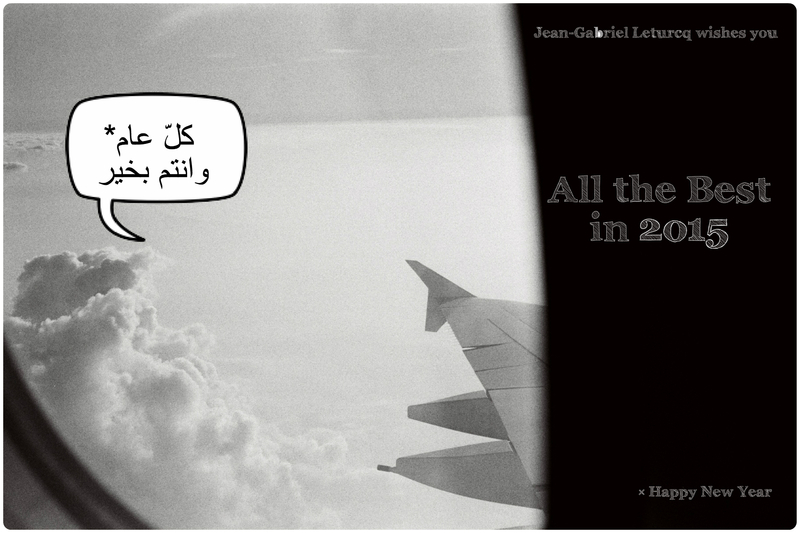 In Arabic: a usual Gulf Arabic greetings for New year and main festivals. Before it is too late, I wish you all a happy 2015! As expected, 2014 was a busy year. I have been busy with the achievement of two of my main projects: the Ras Ghimb castle in Gondar and the Department of Paleontology at the National Museum of Ethiopia in Addis Ababa. There were many other projects in 2014 at the French Center for Ethiopian Studies such as the First Conference of Islamic Manuscripts held on March, the publication of the Ethiopian CityGuides, etc. The Ras Ghimb was partly inaugurated in January 2014 along with Timkat (Epiphany) ceremonies and now starts to function as a living museum hosting concerts and exhibitions, and welcoming the community. The Department of Paleontology at the National Museum of Addis Ababa was inaugurated on the 3 December 2014 in presence of high officials and Maurice Taieb, one of the discoverers of Lucy. Meanwhile, I left Addis Ababa as my contract was arriving to an end and I joined the team of the Agence France-Muséums working on the construction of the Louvre Abu Dhabi. My position as a Chargé de mission auprès du Directeur Général Soutien à l’ouverture / Pre-Opening and Opening Initiatives Officer is to facilitate, liaising with the other project management teams, the creation of some key functions of the future museum to be able to open and run after its opening. Do not hesitate to get in touch with me if you pass by Abu Dhabi, I’d be more than happy to share a moment with you.